I’m not a huge sports fan but I love the Olympics. The athletes amaze me: their passion, their precision, their discipline, their perseverance. Every year there are heartwarming stories about various Olympians on their journey to the Games. I love the backstories. But this year some unique personal stories remind me how remarkable the human spirit can be. There’s the amazing story of Yusra Mardini. Yusra was training as a swimmer in Syria when the war forced her and her family to flee their homeland. Like thousands of other desperate refugees, they launched themselves in an overloaded boat into the Mediterranean Sea hoping for safe passage and dreaming of a new life in a peaceful land. Like too many other refugees, Yusra’s boat floundered, so this amazing young woman and her sister plunged into the dark water and pushed it three miles to the welcoming shore at Lesbos. Now she is swimming in the Olympics for Germany, her new homeland. There’s the story of Rafaela Silva. 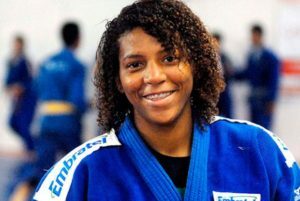 Rafaela was raised in the violent, notorious slum of Cidade de Deus in Rio de Janeiro; the infamous “City of God.” Her talent for judo provided a way out of the slums and, remarkably, she found herself training in England, favored to win a medal in the 2012 Olympics. But when she lost, she was faced with another kind of violence. A vicious organized cyberspace gang attacked her mercilessly with racist hatred and demeaning slanders. Rafaela was devastated. But with help from a supportive community, she persevered and got back to her dream. This week, Refaela won gold for Brazil. There’s the story of Ibtihaj Muhammad. During this Olympic Games, Ms. Muhammad made history. She is the first American athlete to compete in the Olympics with a hijab which she wears to adhere to the tenets of her Muslim faith. Remarkable for her and for all her family and friends. Her brother, Qareeb, is especially proud. He was overcome with emotion when he watched her compete. These women are some of my new heroes as well. I love their amazing stories. But I think what I love most is watching the community of the Olympic family. Despite the intense competition, a profound mutual respect weaves these international individuals into a close neighborhood. Their shared experience gives them empathy for one another. Their shared goals bind their hearts together with common passion. Their shared values motivate them to recognize the inherent value within one another, win or lose. These lessons from the Olympic family are lessons for the rest of us, the human family, as well. 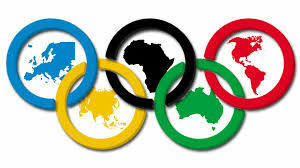 The Olympic symbol itself pictures the beautiful, practical interconnection of this vast global village in which our human family dwells. Within our cities, states and nations – and across all national lines – we too can tap into the inherent value of our shared humanity in order to deepen our empathy and strengthen our passion to craft a community where we affirm and accept everyone as our neighbor. 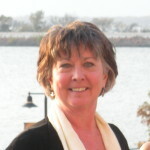 Charlotte Vaughan Coyle lives in Paris TX and blogs about intersections of faith, culture and politics on her website and Intersections Facebook page. 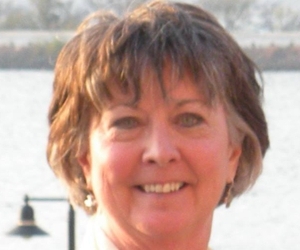 Charlotte serves as the national secretary for Coffee Party USA and regularly shares articles to the popular Join the Coffee Party Movement Facebook page. Great stories, Charlotte. Keep up the good work with positive stories. Too much politics is depressing. Stories like this,make my day. God bless you and the Olympic athletes.